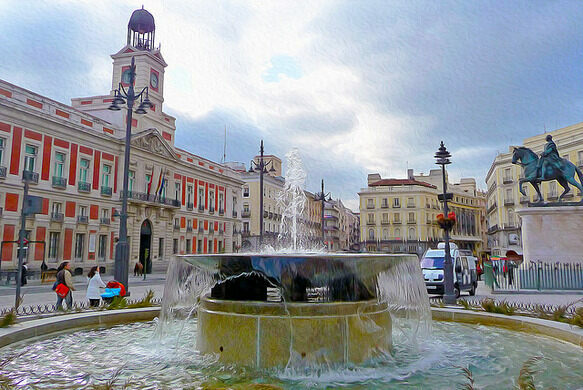 This small stone slab in Madrid’s city square marks the geographical center of Spain. 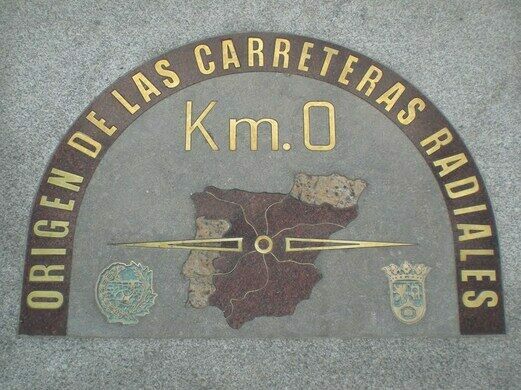 The marker sets the Zero Kilometer point, the point from which distances are measured in Spain—specifically, it’s the starting point for measuring the distances of the country’s six national roads, A-1 to A-6. Kilometre Zero is also the starting point for Madrid’s numbered streets; the closer to the Km 0 mark, the lower the street number. The plaque was placed here in 1950 and replaced with a newer stone in 2002 and again in 2009. It was turned around 180 degrees by mistake in 2002 during a reform of the square. 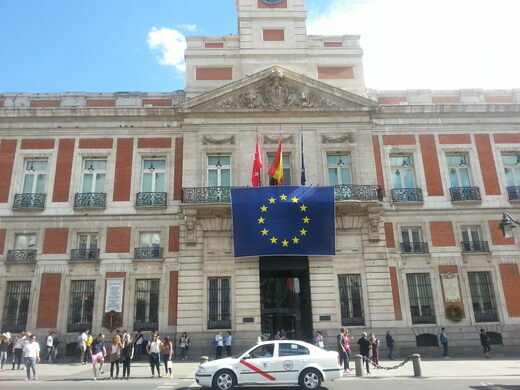 The plaque was renewed in 2009, during the roadworks of the Puerta del Sol square, and this time placed in the right position.